Swim through art (and the Tennessee River) in our next Nature of Art with Reflection Riding. 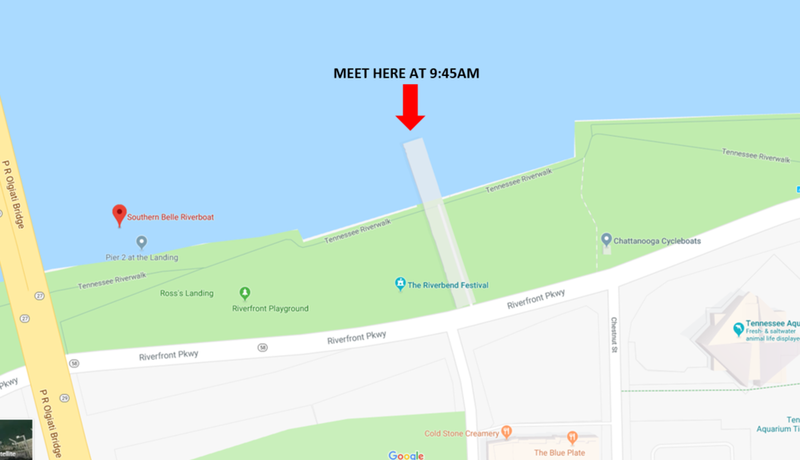 We will start with a boat ride to Maclellan’s Island where participants will be dropped off to enjoy the swim downstream to the Walnut Street Bridge. Engage in a discussion about the artwork of Karen LaMonte, explore a small cave, and cool off from the summer heat for a morning beneath the bluff! Participants should expect the leisurely swim to last at least 30 minutes and must be about to tread water for that long. You must reboard the boat at the Walnut Street Bridge to return to the Chattanooga Pier. Free and open to participants 18 and older. Limited spaces available, you must register in advance to participate. Thank you for registering to attend the Nature of Art: Swimming in Art. We will email you any updates about the event, or please contact Chelsea Higgins with any questions. This program is free for participants 18 and older. Bring your swimsuit and any other items you may need to enjoy the swim like swimming goggles, sunscreen, or a towel. What to bring: your swimsuit (required) and swimming goggles, sunscreen and a towel (optional). Thank you to the C.O.W.S and Outdoor Chattanooga for partnering with us! Please contact Chelsea Higgins with any questions.